at Keyaki-zaka street in Roppongi Hills. That’s for WORLD DIABETES DAY. 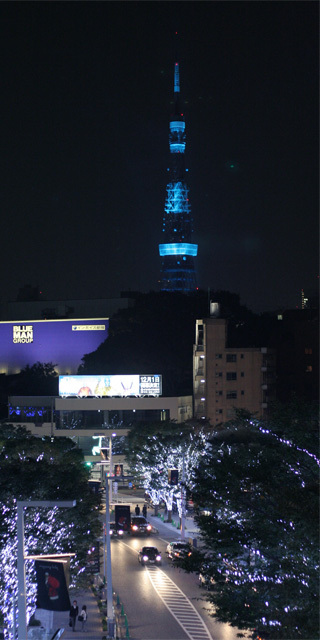 Over 100 landmarks lighted up in blue. for Blue man Group performance.